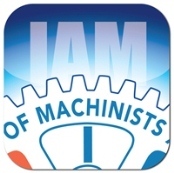 The IAM App for Android phones is now available, but we need your help testing it. Please search for the “IAM Journal” in the Android Marketplace. Then drop IAM Communications Director Rick Sloan an email at rsloan@iamaw.org, and let him know how it works on your ‘droid.